In addition to digital photography, I use the historic 19th century wet plate collodion photographic process to create unique fine art images. My latest landscape and portrait images include tintypes, ambrotypes, glass plate negatives, and albumen prints. I am also exploring the abstract pictorial effects of wet plate collodion chemistry through a series of large-scale archival digital prints and mixed media works. 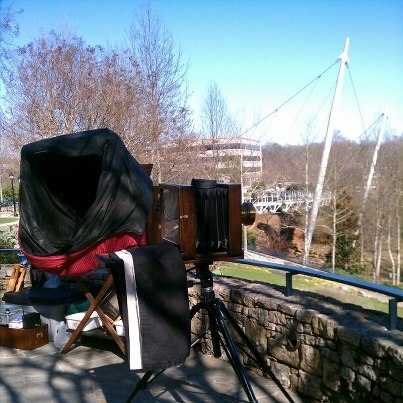 19th century reproduction camera with an 1872 Ross lens beside my field darkroom during a shoot near the Liberty Bridge at Reedy River in Greenville, SC. Art history, contemporary art, critical theory, photography as cultural practice, history of photography, documentary and landscape photography. Historic and alternative photographic processes: 19th century wet plate collodion for making tintypes, ambrotypes and glass negatives; albumen printing; pinhole photography. 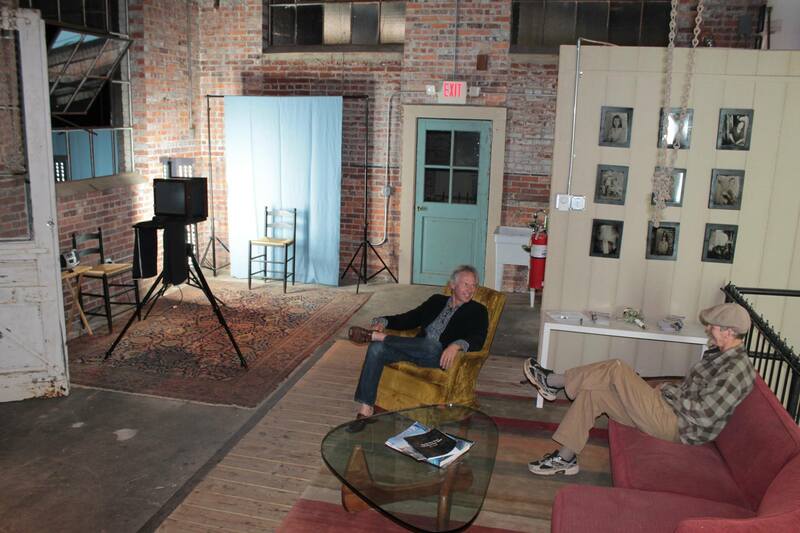 At his photography studio in Taylors, South Carolina, Bryan offers workshops in the 19th century wet plate collodion process used to make tintypes, ambrotypes and glass plate negatives. He has studied wet plate collodion techniques in workshops with John Coffer at Camp Tintype in Dundee, NY and with Eric Taubman and Keliy Anderson-Staley at the Center for Alternative Photography in New York City. Jerry Saltz Reviews "The Generational: Younger Than Jesus"